Hawaii is home of beautiful islands, beaches and breathtaking ocean water. The seven main islands consist of Hawaii (Big Island), Maui, Lanai, Molokai, Oahu, Kauai and Niihau. These key places offer amazing villa, condo and house vacation rentals on the beach and surrounding areas. The island Oahu is where Honolulu the state capital is located. From the popular Waikiki Beach to the North Shore, the island has miles of beautiful beaches and attractions. Pearl Harbor an historical place to visit to hiking during the morning up Diamond Head for amazing views. The North Shore is more of a secluded beach area on the island., with fantastic scenery and a place to relax from the busier beaches. There are plenty of activities to keep you busy on the island. Maui is one of the more popular places to spend a week in a vacation rental. Wailea Maui Vacation Rentals is a great area with plenty of activities including: beautiful golf courses, snorkeling, fishing, parasailing, scuba diving, snorkeling, swimming, horse back riding and many others. When booking a vacation rental in Maui, you will have access to 80 different beaches and over a dozen golf courses. Kauai is a place to visit beautiful Tropical Botanical Gardens, while the Big Island presents gorgeous white sandy beaches, abundant amounts of sunshine and the popular Kona Coffee. Hawaii Volcanoes National Park home of Kilauea, most active volcano is also a huge attraction the Big Island provides. The islands Lanai and Molokai are two islands that are less crowded, offer more peaceful and relaxing areas to vacation. The beautiful beaches and gorgeous blue water are very appealing. From white coral sand to golden sand. Are you ready to experience an amazing vacation on one of theses amazing islands? 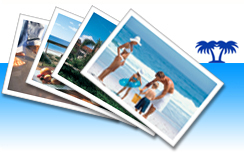 Ivacationonline.com has condos, villas and vacation rental homes listed direct by owner and passing the savings to you. Once you have found your unit of choice, ourvacation rental management software.offered on the site, will just take a few minutes to book your perfect Hawaii Vacation Rental. Enjoy your next vacation on one of the beautiful islands of Hawaii! !